Msgr. Wadsworth to help found new Oratory in D.C. HE CHURCH OF SAINT Thomas the Apostle in Washington D.C. [url], which seems to be an incredibly vibrant Catholic parish, will soon have a new Pastor. Father Richard Mullins has reported that starting 10 July 2013 he will be “planting the seeds for an eventual Oratory of St. Philip Neri” as Pastor of St. Thomas. 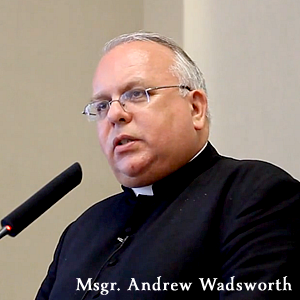 Helping him in this task will be none other than Monsignor Andrew R. Wadsworth, Executive Director of ICEL. Corpus Christi Watershed has written about Msgr. Wadsworth here. This is certainly exciting news for anyone interested in the Roman Rite, since Oratorian priests are known as the “special protectors of the liturgy” in the same way the Benedictines used to be (but, sadly, are no longer).